Making claims about any health benefits attributed to placenta consumption and the processing of placentas by any third party is considered to be marketing and manufacturing a drug and is therefore subject to special approvals and is subject to the Food and Drug Act. There are potential contamination risks associated with the preparation and ingestion of placenta. Mothers who wish to ingest their own placenta may do so as long as they are the ones preparing the placenta. Many Canadian encapsulators are upset by the Health Canada placenta statement, but I’m happy to hear these standards being imposed. For too long this industry has failed to create universal standards of safety around the transport, preparation, and ingestion of placenta. This has allowed thousands of practitioners around Canada and the US to operate in ways that make anyone with a background in health sciences or food safety cringe. When ProDoula created Placenta Prep as a way to promote the highest standards of safety around placenta encapsulation possible. Clients maintain an uninterrupted chain of custody of their placenta by transporting it home in a clearly labelled container that is packed with ice. Processing begins within four days of birth, unless frozen shortly after birth. Processing happens within the client’s home. Specialists prevent contamination by covering hair, eyes, mouth, clothing and hands while processing. Steaming the placenta until it reaches an internal temp of 160 degrees F*. A strong focus of the Placenta Prep training is on how specialists can support their client’s general postpartum needs while in the home. It’s why the organization has titled trained and certified practitioners as Postpartum Placenta Specialists. And this is where the good news lies for Canadian Postpartum Placenta Specialists! 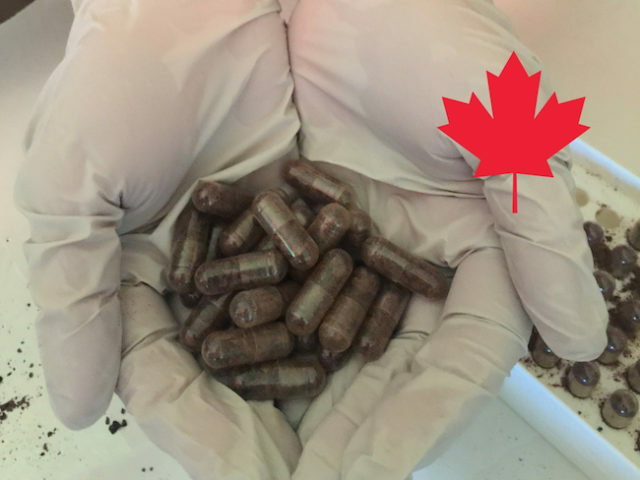 Health Canada has stated that mothers interested in placenta encapsulation can prepare their own placentas. But how will they know how to do that process? Where will they get the proper equipment? What supplies do they need? This is where the Postpartum Placenta Specialist comes in. We will continue to help our clients get their placentas encapsulated in a safe manner. As Postpartum Placenta Specialists, we will be the experts standing beside them. The Postpartum Placenta Specialist will bring all necessary sanitized equipment and supplies to the client’s home. They will educate their client on how to proceed and will walk them through the process step-by-step. The newly postpartum parent will have a skilled and knowledgeable guide to assist them as they encapsulate their own placenta. They will also have a professional doula at their side to help in their adjustment to parenting. Health Canada has given what is possibly the most ideal set of regulations regarding encapsulation in Canada. It expressly outlaws the least safe practices while still allowing mothers to choose placenta encapsulation. And, it puts the specialists with the highest safety standards into the homes of clients where they can have the most positive effect. If you are a Canadian Postpartum Placenta Specialist you need not worry about what these updated rules mean. Continue to refrain from making health claims that we know we cannot conclusively support through clinical study. Continue to instruct your clients to transport their own placentas home safely. Continue to be in your client’s home for the processing of the placenta for consumption. Only, now you will be at your client’s side showing them how to process their placenta using all of the necessary equipment in the safest possible way. ***Edited to add: As with any and all contractual business agreements, be sure to have your attorney write and approve the contract you utilize for services relating to supporting clients as they process their own placentas. Additionally, speak to your insurance carrier to be certain your practices qualify for coverage.